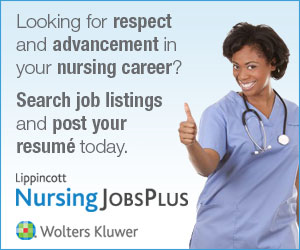 Are you a nursing student or thinking about becoming one? Use the nursing student resources on this page to help you navigate the ups and downs of being a nursing student. Here are articles from our peer-reviewed, evidence-based journals, as well collections related to leadership and managment and achieving your BSN or an advanced nursing degree. 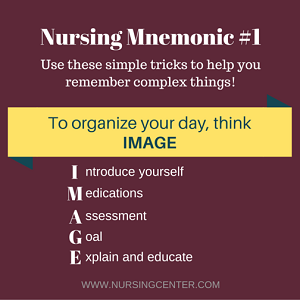 Also, don't miss our other nursing student resources, such as handy tips and mnemonics to help you remember key information. No matter what point you are in your life, being in school is truly a juggling act. These articles will help you find your balance, study effectively, and cope with stress. Be prepared for your exams! These three specially-selected articles will give you some guidance as you face your next test. If you are considering a return to school, take some time to explore the resources in this collection. Learn why now is the time to return to school, and gain advice on overcoming barriers that are in your way. With options such as online programs and employer-based incentives, achieving an advanced degree in nursing is within reach. Explore these articles and learn why it is important to further your education and how to put a plan into action. As a nursing student and soon-to-be nurse, it is important to be aware of current issues and trends in the profession. Nursing and health care are constantly changing; being mindful of this and knowing how and where to stay updated is critical. These resources from Lippincott have been carefully selected to support you as you prepare for your nursing career. All nurses are leaders, whether you are working in direct patient care, functioning in the charge nurse role, managing staff, or working as an executive overseeing multiple units or organizations. These articles have been carefully selected to support you as you develop and maintain your leadership skills. As a current nursing student, evidence-based practice – what it means and why it’s so important – has probably been a big component of each of your classes. These articles from Lippincott NursingCenter's collection of authoritative, peer-reviewed journals have been carefully selected to illustrate the steps of evidence-based practice, help you understand how to accurately and thoroughly assess research, and demonstrate how evidence translates to changes in clinical practice. thePoint is where learning resources for your course come together. Here, you can access a digital version of your textbook, quiz yourself (before you read and while reading) to make your study time more efficient, and take advantage of interactive learning and study tools. Today’s nursing students are on the go, always looking for innovative tools to help retain more of what’s taught in the classroom, study more effectively, and boost NCLEX scores. Lippincott Nursing Student Success offers the trusted resources to help you succeed in today’s fast-paced nursing curriculum.